ArcGIS for Server integrated seamlessly with Mainstream's existing Microsoft technology, including SharePoint. 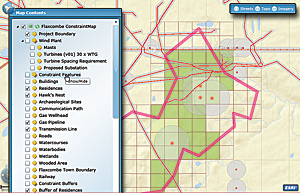 The use of GIS has reduced risk by helping Mainstream manage its global projects more closely. Just 12 months after going live, ArcGIS was being used to manage 67 different projects spanning eight countries. SharePoint Web Parts (v.1.1) consuming ArcGIS for Server map services allows project managers to visualize their projects using a dynamic map viewer. 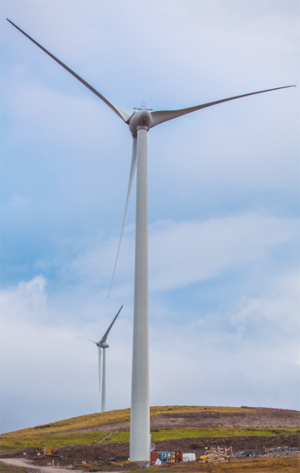 Mainstream Renewable Power develops large-scale wind and solar farms on behalf of, or in partnership with, large corporations, major utilities, and institutional investors. 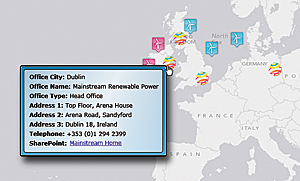 Headquartered in Dublin, Ireland, the organization operates from 11 offices in eight countries across Europe, North America, and Africa. Designing, locating, and building wind and solar energy plants is a highly complex business fraught with risk. Hundreds of factors have to be considered in determining the best locations for new facilities, and planning applications can take years to reach a successful outcome. Construction processes are highly complicated, involving many different specialist organizations. Mainstream wanted to find a better way to manage this complexity and minimize project risk. SharePoint Web Parts allow Mainstream to track its assets' locations. At the same time, Mainstream wanted to improve the efficiency of its business so that it could more quickly deliver projects for its clients. It had more than 150 employees who regularly worked with 450 partners and suppliers. To improve collaboration between these disparate teams, Mainstream needed a way to better manage all its data assets and make project information readily accessible to people working on three different continents. Mainstream's data assets are vast. Every project it undertakes relies heavily on pools of information about everything from geology and meteorological patterns to plant species and bird migrations. In Europe, the organization primarily works in the field of offshore wind farms, and datasets associated with marine environments are particularly complex, because the seabed is a dynamic surface that is constantly evolving, governed by tides and currents. Mainstream needed to be able to better visualize large amounts of data—and then map, monitor, and predict environment changes over time. Many business-relevant data layers are available for all staff to browse in ArcGIS, ArcGIS Online, and other client applications. This one illustrates the average wind speed in Ireland (using public data). Following a detailed investigation of its options, Mainstream made the decision to deploy ArcGIS for Server technology across its entire business. The solution was implemented with support from Esri Ireland and rolled out to its offices across Europe, North America, and Africa. ArcGIS for Server integrated seamlessly with Mainstream's existing Microsoft technology—the SharePoint platform in particular—to create a consistent enterprise solution. GIS gives the business the ability to not only manage its data centrally but also visualize it, analyze it, and make it readily accessible to employees and partners in a variety of formats. The company sees value from GIS across five core areas: visualizing projects, analyzing data, managing projects, mapping projects, and publishing maps. Just 12 months after going live, Mainstream was using ArcGIS to manage 67 different projects in eight countries. Each project draws from up to 50 layers of pertinent, spatially referenced data. The use of GIS has reduced risk for Mainstream by helping it manage its global projects more closely and improve collaboration between global teams. Employees in Dublin can be working with contractors in Chile, and everyone sees the same information at the same time. As a result, there is less likelihood of misunderstandings and other project management issues that might otherwise increase the risk of added costs and project delays. Because it pulls together vast datasets and displays information in a format that is much easier to interpret, GIS also reduces the risk of a new energy plant being planned for an inappropriate location. The solution also enables Mainstream to undertake sophisticated predictive modeling to see how factors such as climate change and sea currents might affect the chosen development site in the future. For example, Mainstream is currently working with Esri Ireland and other partners to create a 3D, time-sequenced map of the seabed to show how the seabed has changed over time. Once complete, Mainstream will use this unique tool to run scenarios and create models to show how the seabed will most likely change in the future. 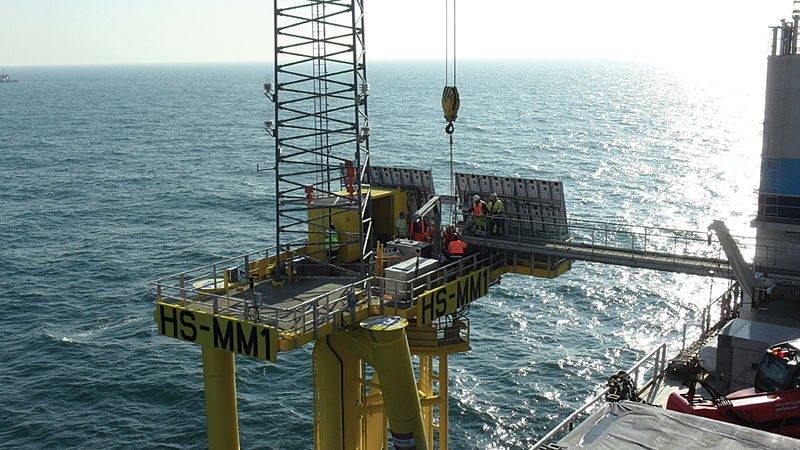 This information will be incredibly valuable in helping the company assess the best locations for new offshore wind farms. 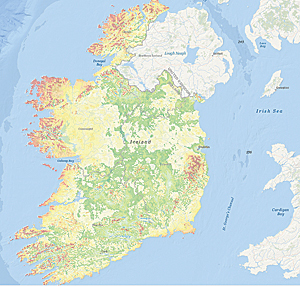 "GIS is the anchor technology for this entire project," says Joanne McLaughlin, Esri Ireland. "It will enable Mainstream to monitor the movement of silt bars and better identify risks and reduce them." Offshore met mast, Hornsea Zone, England. As well as reducing risk, Mainstream is also realizing significant improvements in business efficiency, which are enabling it to accelerate its complex projects. "Processes are far more efficient now," McLaughlin says. "I estimate that Mainstream has made a 40 percent savings in time and will get payback on Mainstream's investment in GIS in less than two years. 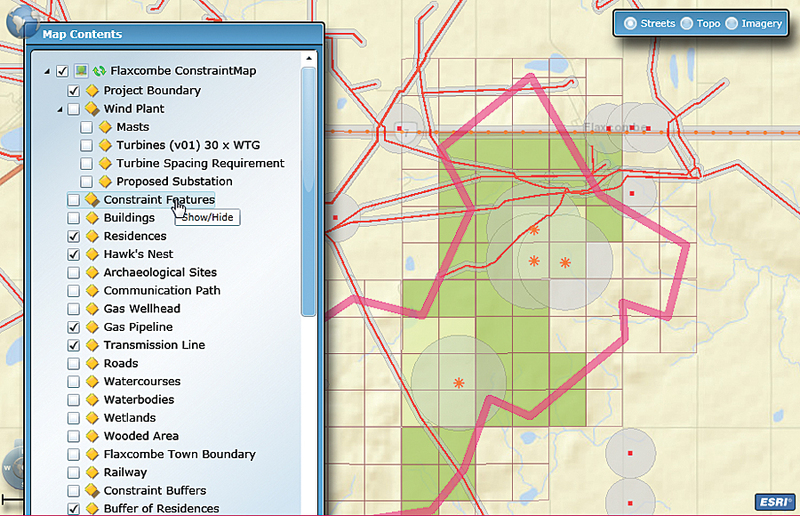 GIS is now at the heart of Mainstream's business strategy." For more information, contact Joanne McLaughlin, Esri Ireland.